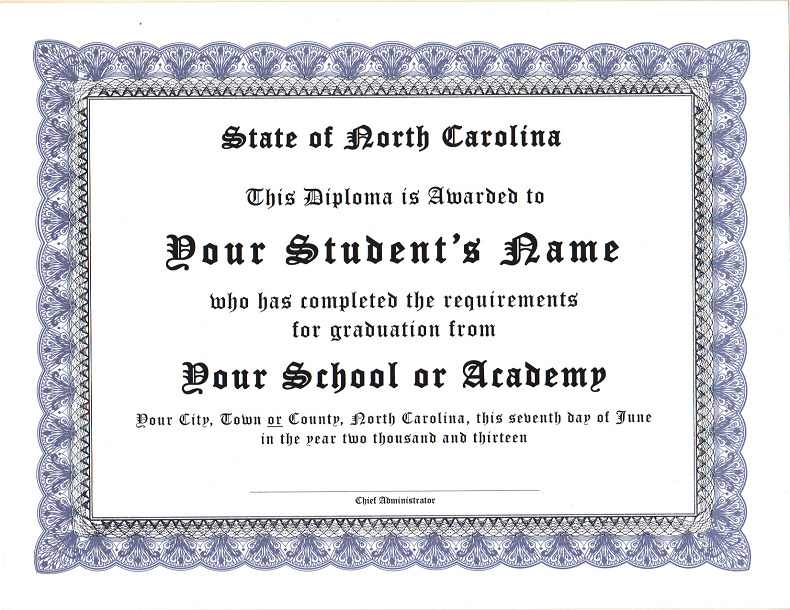 Diploma printed on your choice of blue or gold certificate paper, in gold-trimmed presentation folder. Enter the information to be printed EXACTLY as you want it on the diploma. Usually the student's complete name is used, but we will print whatever you type. For location, if your school is located in Dare County, be sure to enter Dare County, not just Dare. Please note - Bayside will print, on your behalf, but cannot issue a diploma for you. Only the appropriately authorized person for the school can confer the status of "graduate" on the student.